Photograph of a young woman identified on reverse as Helen Estelle Jackson; taken by the studio of Adrian C. Tuttle of Belfast, Maine. 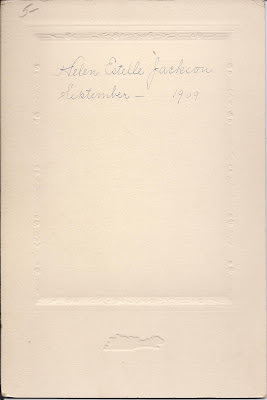 I haven't had much success nailing down the identity of a Helen Estelle Jackson, especially in the Belfast, Maine area. Whether Jackson is a maiden name or married, I don't know, but I assumed it was a maiden name. 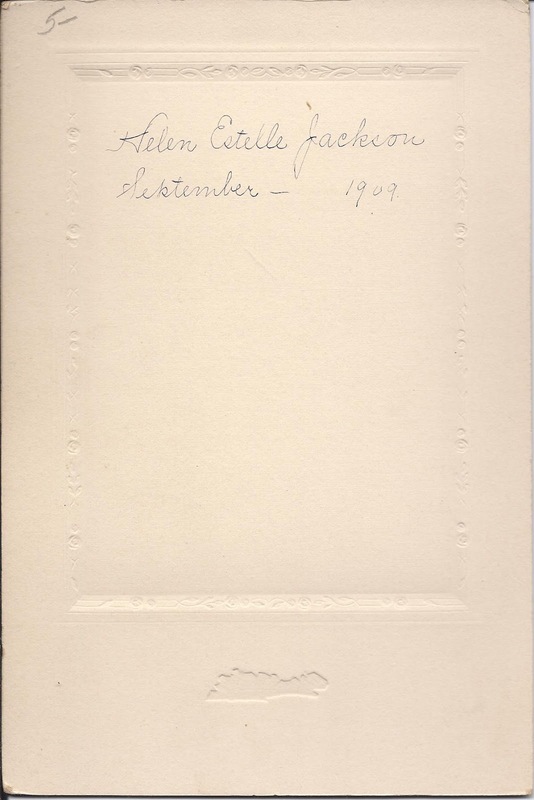 Expanding farther into Maine, I found a Helen E. Jackson at Tremont, Maine, in Hancock County, and a Helen E. Jackson at Sebec, Maine, in Piscataquis County. An entirely different Helen Estelle Jackson might have been visiting in the Belfast area. 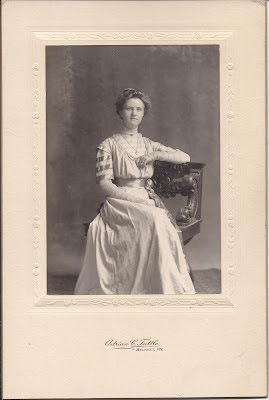 If you have any theories as to the identity of the Helen Estelle Jackson in the photograph, please leave a comment or contact me directly.